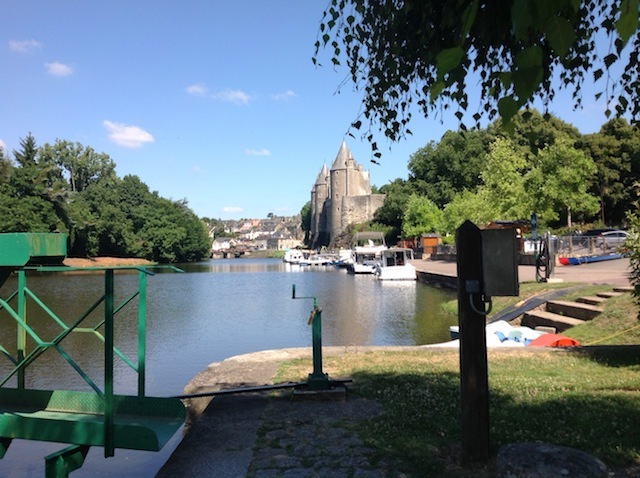 After having spent our first holiday week in the coastal town of Cancale, we drove on to our next rental home in Josselin (about a two-hour drive from the coast). 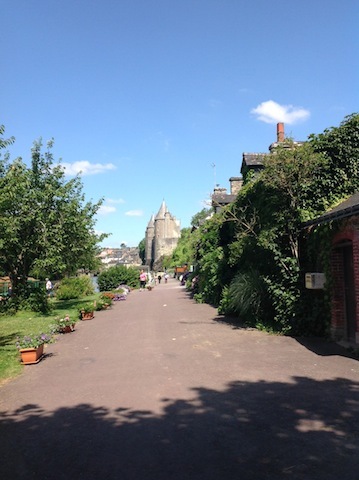 Josselin is closer to the Atlantic coast, so during that week, we also took a day trip to Carnac (about 1:20 hr). 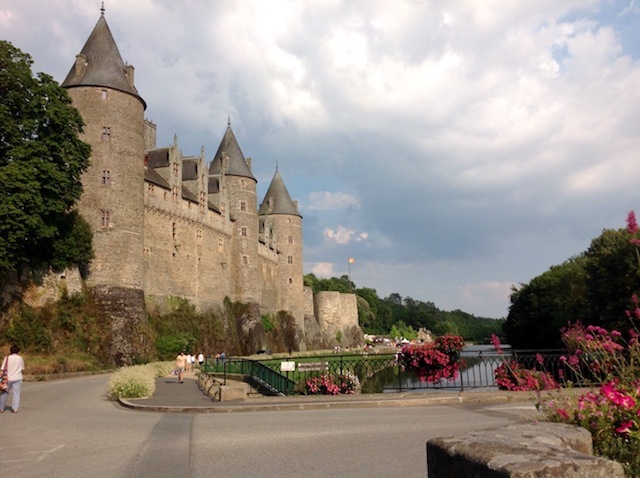 The highlight of Josselin is the castle, but there are also many other attractions: restaurants, the canal, bike rental, pubs where we watched a couple of the World cup games, you hear a lot of English (due to the many British tourists), etc. Unfortunately, some of the town center stores are no longer occupied. There are quite a few ‘For Sale’ signs in the windows of both shops and real estate agencies. 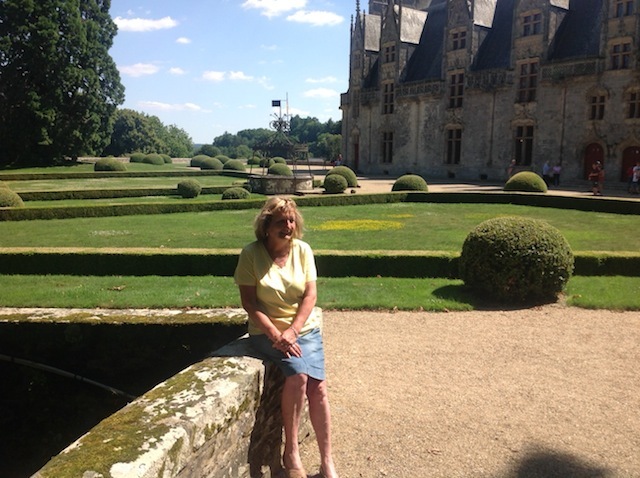 We took a tour of the castle (available only in French), and also got extra tickets for its puppet museum. That was quite interesting. Almost every day, we walked along the canal. We saw plenty of fish in the water, dragon flies hovering, birds trying to catch fish, boats passing by, and … not so many tourists (we were there from 7 – 14 July). We also watched a canal worker work the dam manually. 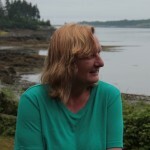 She had to use quite a bit of muscle strength to work this machinery, and also had to take quite a few trips back and forth – to let two boats up the canal. Wherever we walked, the streets and walk ways were clean and decorated with flowers. When we booked the place for a week, the rental owner suggested to stay an extra day to enjoy their annual Medieval Festival on 14 July. No thanks. When the crowds move in, I move out. We saw some of the early activities on Friday evening, and we enjoyed the preparations they had taken, such stringing flag lines across, etc. We pulled out Saturday morning just in time before the masses of tourists would arrive. 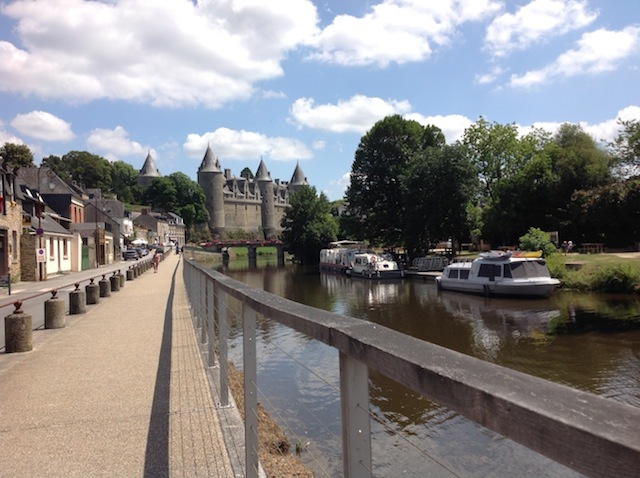 I like Josselin, when it is a quiet little town.